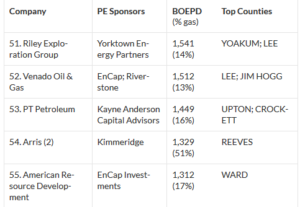 Far from being a monolithic enterprise, investment in oil and gas companies can require very specialized industry knowledge that creates natural barriers to entry for wouldbe PE investors. Oilfield services (OFS) follows the more traditional PE model of acquiring controlling stakes in target companies. OFS tends to attract generalist PE firms seeking exposure to the oil and gas space. Meanwhile, upstream, midstream and downstream segments are highly specialized and require greater industry knowledge for potential PE investors to understand their potential risks.